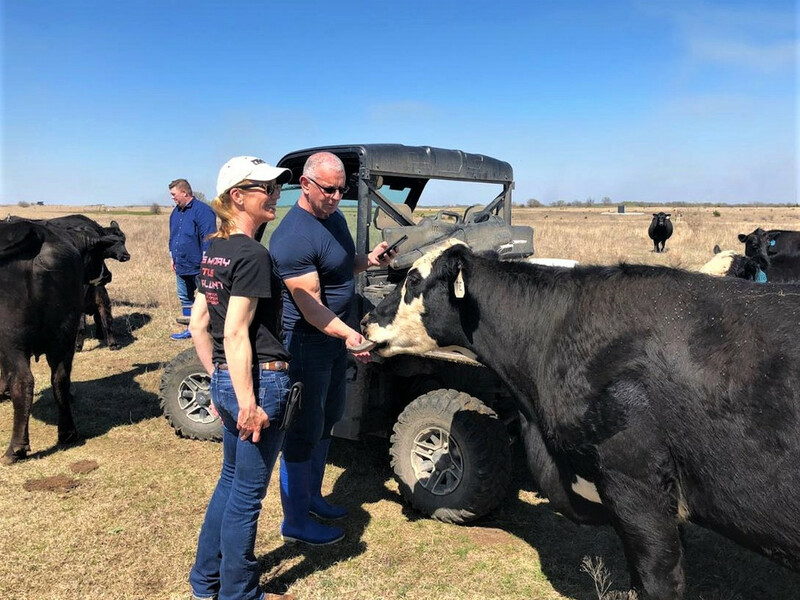 I was honored to welcome Celebrity Chef Robert Irving and some of his chef's/partners to the ranch, getting up close & personal with our girls. 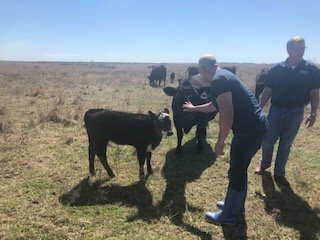 Creekstone Farms Premium Beef works closely with their customers to educate them on humane treatment/handling, feeding, finishing, processing, the best cuts & how to prepare them . . . basically, where their meat comes from; farm to table. Thank y'all for being a part of that. I'm very appreciative of any positive efforts to promote beef and educate the consumer with truth and helpful tips. Thanks, Ky hills! Creekstone's facilities were actually designed by Dr. Temple Grandin, the welfare of the animals was a priority. And they do welcome the opportunity for their customers to tour the facility & witness the slaughter process, further solidifying humane treatment. They have brought a number of customers to the ranch - always a good time! That's really great all the way around TC! Good deal on all aspects of that and some good looking cattle. chef could use a trip to the barber tho.........gettin a little long up there..